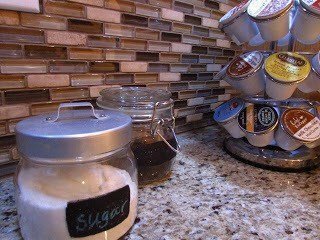 Over the holiday, my family and I had some work done to our kitchen, and secretly, I’ve always wanted to put backsplash up without help. So, I did it! 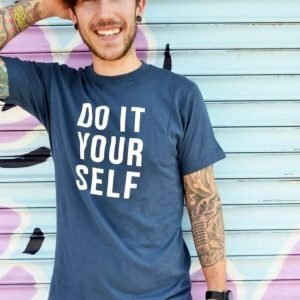 It was so rewarding (and much cheaper than hiring someone)! 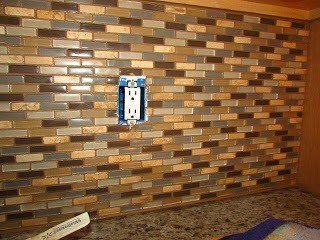 During the completion of the project, I thought this was an awesome excuse to show everyone how to install a kitchen backsplash! It is SO much easier than one would think. Check it out and complete your own tile project! Overall, the result was amazing, and although it was a little messy, and took a few days to complete, the work was totally worth it! Besides, it saved me at least $100… so that’s what’s up! 1. 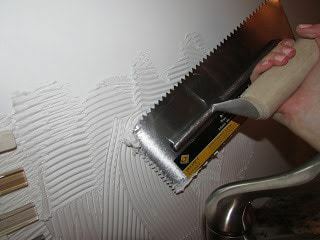 Use your trowel to apply tile glue to your walls. 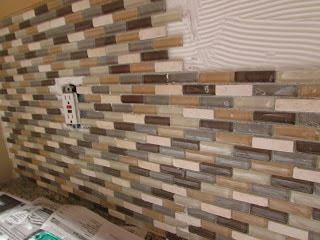 When using mesh tile sheets you can start either in a corner or the center of your wall. We chose to start in a corner. 2. Press the sheet into the tile glue and press firmly to adhere to the glue. Utilize a level to ensure your sheets are alined the right way. 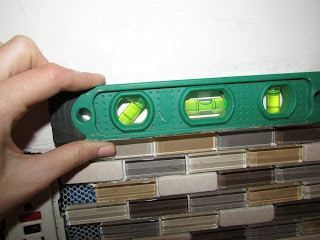 If you are using a grout line below your sheets you may want to measure this out using spacers. 3. Continue this process and line up the mesh sheets. When using tiles like mine, your sheets will line up with each other pretty easily. 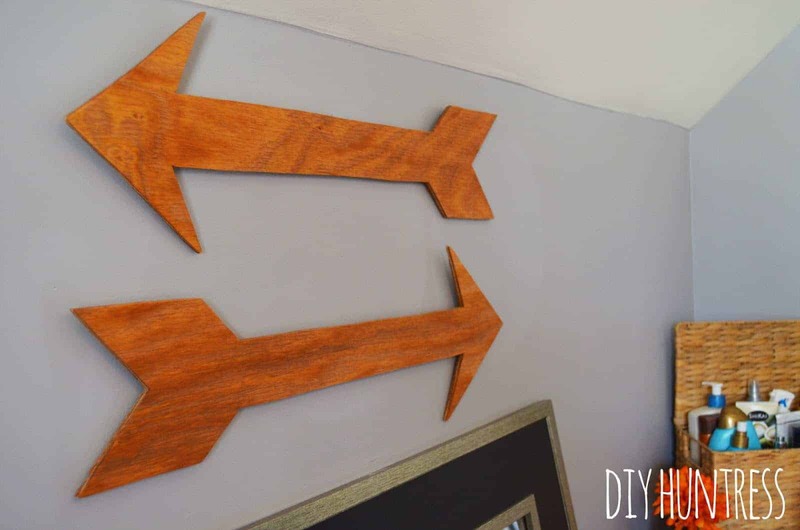 If you have to trim any of your sheets, you can do this using scissors. 4. Once you’re done placing all of your sheets, use your tile cutter to trim tiles to place in your open spaces that full tiles would not fit in. 5. When you’re tiles are done being placed make sure you allow them anywhere from 12 hours to one full day to dry. 6. Once your tiles are dry, you’re ready to grout! For this step you’ll need your grout, a float (or a sponge in my case), a clean sponge, water, and rags. 7. 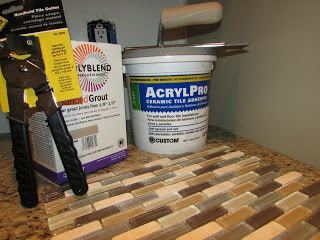 Mix your grout in a bowl or bucket, depending on how much you need. 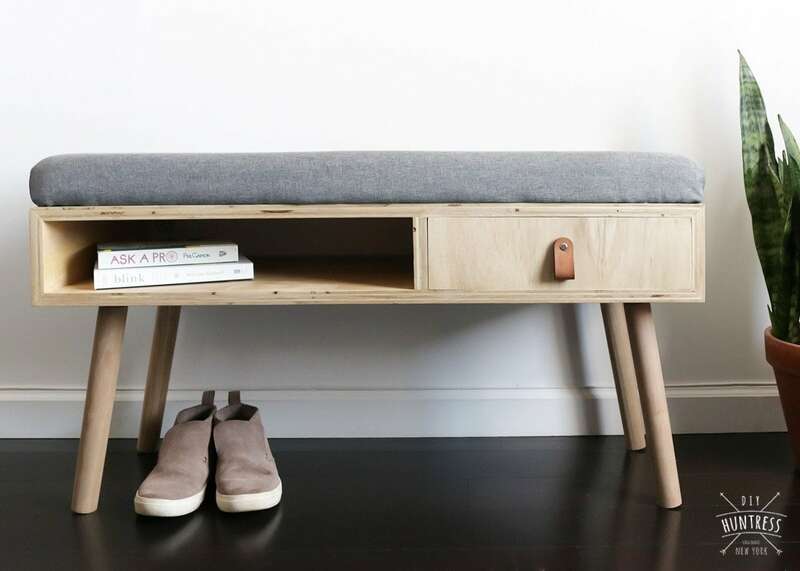 Sometimes the measurements may not be exact on the side of the box, so eyeball how much you actually need. 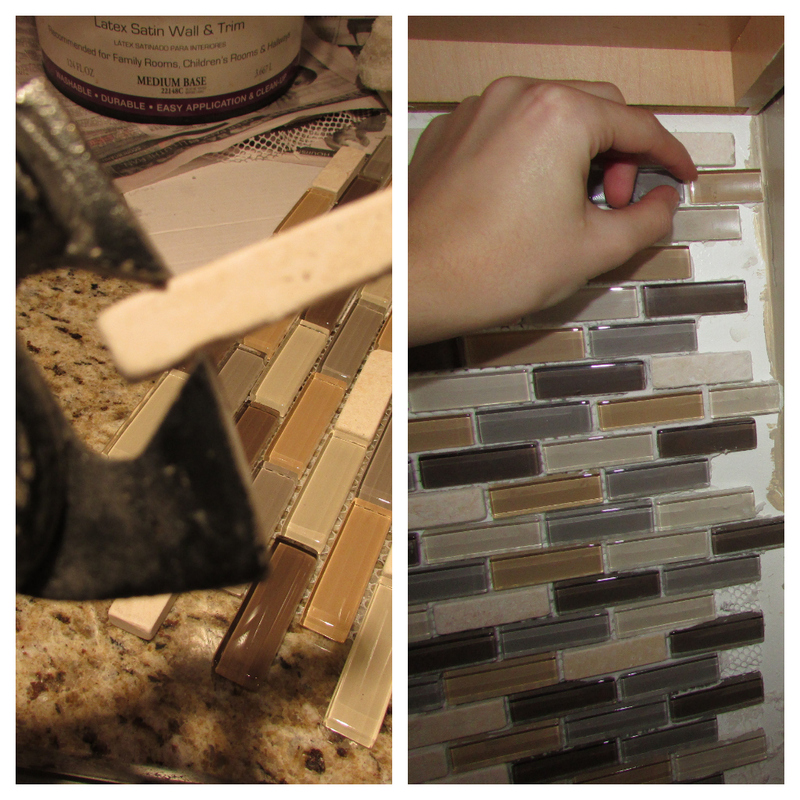 The grout should be a happy consistency between watery and thick. 8. Apply your grout to your tiles using your trowel or sponge. We chose to use a sponge for this project due to the delicate nature of the glass tiles as well as the fact that we were only grouting a small area. 9. 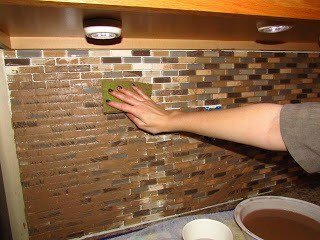 Once your grout has sat for a little, begin to wipe away the excess grout from the face of your tiles using a wet sponge. 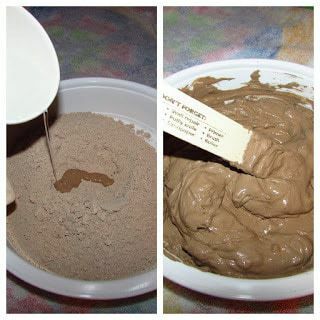 Wipe off the grout in a circular motion and remember to continue to rinse out your sponge. 10. 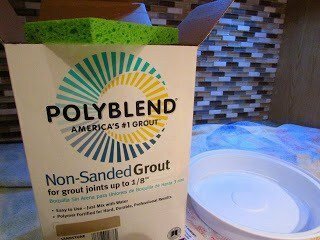 Allow your grout to dry. If you notice some cracks and holes in the grout while it dries, this is normal! Just fill any spots in with more grout. Although this was a weekend long project, it was well worth the wait! 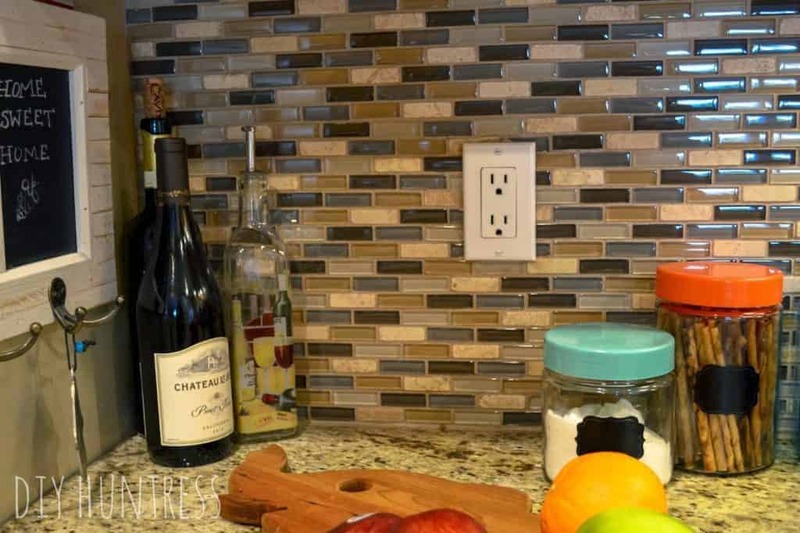 Backsplashes come in virtually every shape, color scheme, and material, so don’t be afraid to be picky when it comes to putting backsplash in your home! 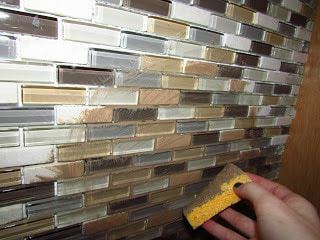 Grout comes in many colors too! So have some fun with picking out your colors! If you need anymore help with a project like this, don’t hesitate to let me know! 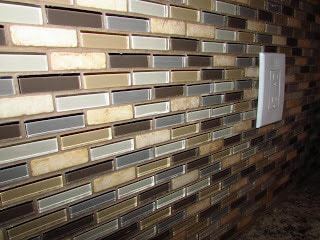 Have you installed your own backsplash!? I want to see! 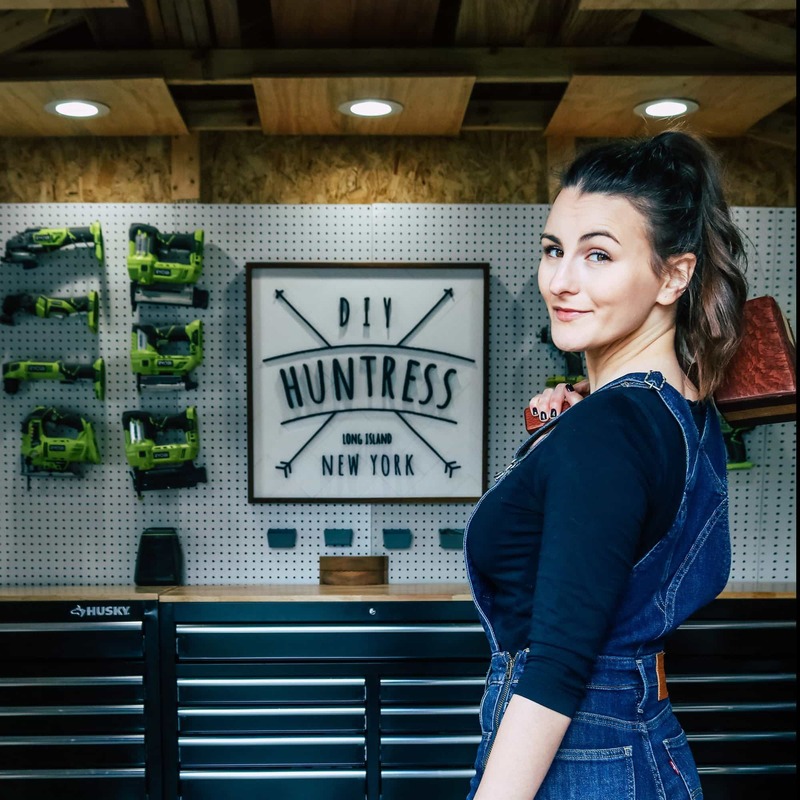 Tag your projects #diyhuntress on Instagram or post them to my Facebook wall! I'll be adding this post to Google+ for sure, hope you don't mind. Thank you so much! It was a pretty fun project actually. I definitely don't mind if you share this post on Google + ! Happy New Year! squeeeee! i love it! 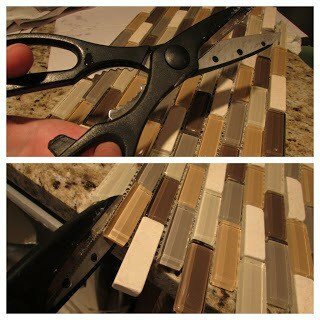 i've been eyeing that EXACT tile for weeks 🙂 thanks for the great tutorial… maybe now my husband will succumb to the idea! heehee! Thank you so much! They make such a difference! Good luck! 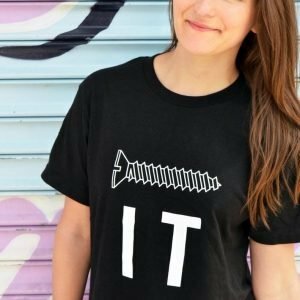 Your blog is adorable! Hope we can follow eachother! I have that tile but with the copper brown, almond and olive green. I love it ..hoping to start the remodel soon. I think you could! It's easier than you think! Thanks for stopping by, I'd love to follow each other! Wow Sam, can't believe you did this (well, I can). It looks awesome. BTW, I made the record bowls for my brother and the boo and they came out awesome. Lots of kisses and Happy New Year! Haha. You're too funny. 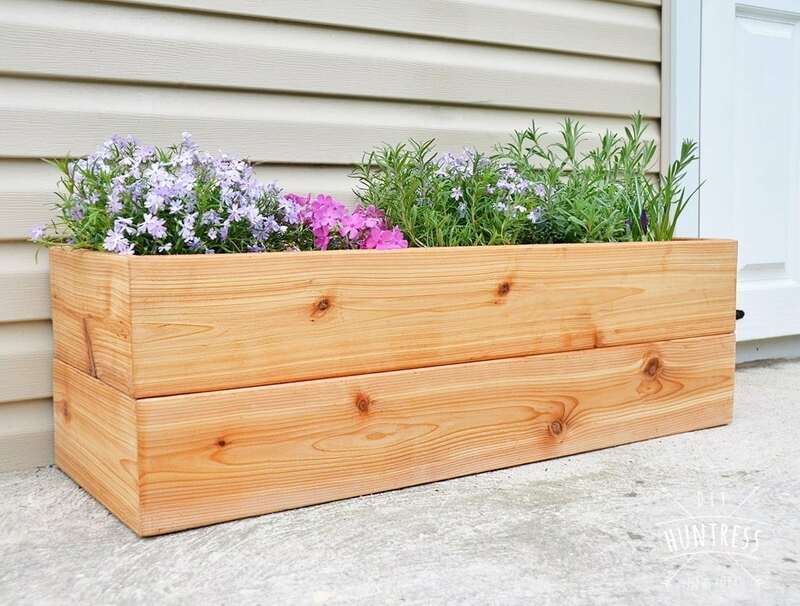 I think you'd be really surprised at how easy this project actually is! Happy New Year love! Great work! I really like the 'brick-work' effect of the pattern. Although I would be totally incapable of doing this myself! Thank you! It's pretty easy to do, I think you could! Wow! I'm amazed. 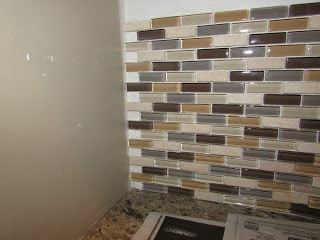 Your backsplash looks gorgeous! Thank you! And thanks for checking out my project! Your article is very good, I have searched a lot of information in this article. I began to do a page, i hope it is soon completed. People can visit and comment, thanks. Love that backsplash! Who makes it?